It was a week into my elderly patient’s hospital admission when he began to have fever and profuse diarrhea, some 10-12 bowel movement a day. The diagnosis was not hard to make: a stool test showed he had C difficile. Another patient, a thin women in her late 40s who had become paraplegic after a gunshot wound decades ago, came in from a nursing home when her urinary catheter became clogged. She had high fevers and an infection caused by antibiotic-resistant bacteria called CRE (carbapenem-resistant Enterobacteriaceae). The infections my two patients had — C difficile and CRE — are the greatest threat, according to a recent report from CDC, Centers for Disease Control and Prevention. C. difficile (Clostridium difficile), a bacteria commonly found in health care facilities, can be picked up from contaminated surfaces or spread from a health care provider’s hands. C difficile infection occurs when a person takes antibiotics that destroy the good bacteria in the gut, along with the bad. C. difficile takes over, causing deadly diarrhea. 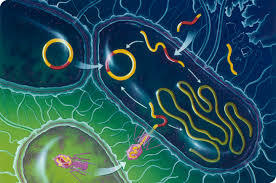 CRE are nightmare germs that can cause deadly infections because they have become resistant to all or nearly all of the antibiotics we have today. 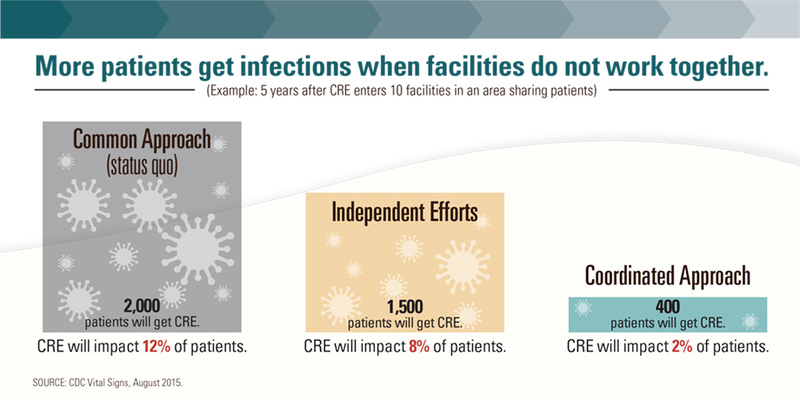 CRE spreads within and between health care facilities like hospitals and nursing homes. Studies show that antibiotic resistant germs cause more than 2 million illnesses and at least 23,000 deaths in the US each year. At present C. difficle infections are at historically high rates. In the recent past when we have focused our efforts and resources we have made major gains in reducing some hospital infections — for example, a 46 percent decline in intervenous central line infections from 2008 to 2013, and an 8 percent decline in hospital-onset MRSA infection, another deadly bacteria. Of all the interventions, the one I find intriguing is the impact of coordinated care. 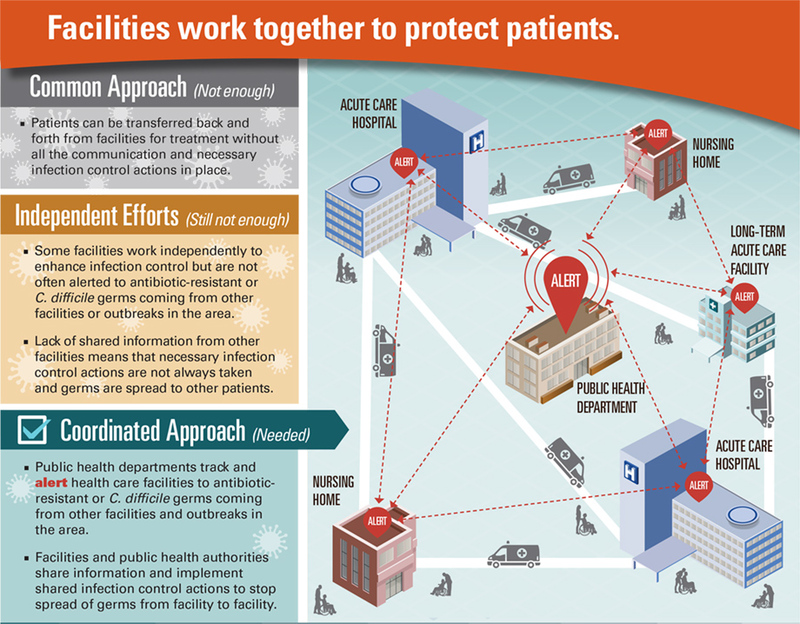 A model showed that when CRE bacteria enters a locality which has 10 health care facilities such as a hospital, a nursing home, a long term care facility, and surgery centers, some 2,000 patients will become infected over the next five years.However when hospitals and other facilities each implement an independent approach to infection control, the number is reduced to 1,500. But what is astonishing is when a coordinated approach is taken among all the facilities with data sharing and collaborative workshops then only 400 patients become infected with CRE — nearly a five-fold reduction. Of my two patients, one with C difficile and the other with CRE, I wondered did they get the infection in the hospital or the nursing home, or in the ambulance which transported them. In fact, pointing fingers at the culprit is not helpful. The data shows that we have an urgent national problem. We can fix it if we work in a coordinated and collaborative manner as health facilities and providers.